On Wednesday January 17th, 2018 I lost the being most important to me in the world. 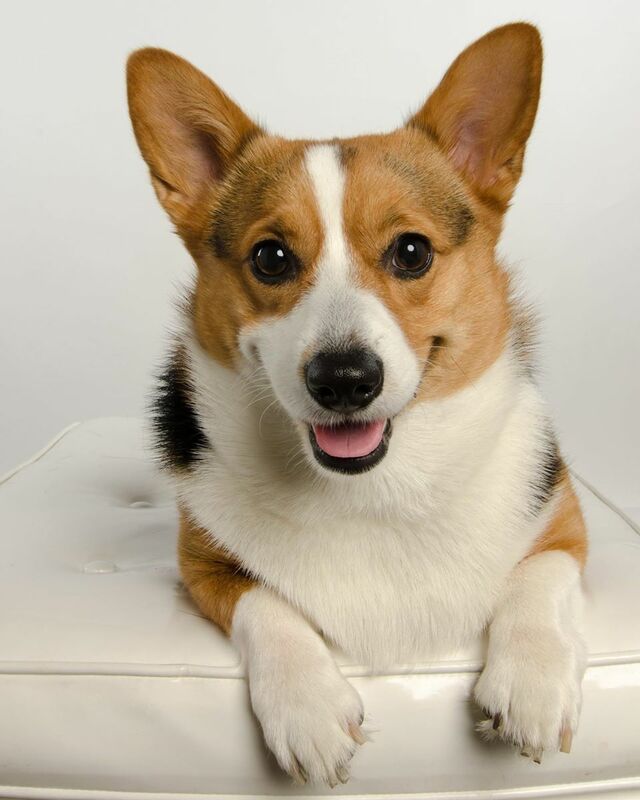 Her name was Dapper McFlufferbottom, she was my Tri-color Welsh Pembroke Corgi and was 4 days away from being four and a half years old. The Saturday prior Dapper started to act slightly odd and was much less playful and energetic than normal, she also had less of an appetite but ate a little and was drinking normally. I spent the majority of the day with her thinking maybe she was just a little under the weather and not really sure what was going on. Sunday when I got up I went to check on her and whatever was going on was much worse so we went straight to an Emergency clinic to figure things out. Over the next couple of hours they ran blood work and saw that her Red Blood Cells were lower than normal and her White Blood Cell count was elevated. After being asked "Is it possible she ate a pesticide, etc, etc?" more times than I remember is when I knew things were going to be difficult at best and the vet said it was an autoimmune disease if it wasn't a chemical. She stayed at the vet for the rest of the day and through the night for treatment (meds and fluids), labs, and observation. Monday morning I picked her up from the Emergency vet and took her straight to her primary vet to get everyone on the same page for treatment and further care. This is where I had to have a very honest and frank conversation with one of her normal vets about what was in Dapper's best interest and what she was personally do with her own pups. It was here we decided that she was going to stay at the vet for steroids and IV fluids with labs to be performed to monitor her RBC/WBC counts. I was told they would call with updates and that a blood transfusion was more than likely would be needed at some point if her counts didn't stabilize with steroids. That evening talking to her primary vet we were told that she definitely needed the transfusion as her RBC count was below normal limits and she was diagnosed with autoimmune hemolytic anemia, a disease which her red blood cells attack each other and are destroyed quicker than the body can produce them. They were able to find the blood she would need for a transfusion that she would receive overnight at another emergency care veterinary clinic. Tuesday morning we picked Dapper up with a much higher RBC count and hopefully a much more stable one so that the steroids could take control and keep her stable. Another day spent under her primary vet's care with her RBC count dropping only slightly throughout the day and upon picking her up that evening I again talked to her vet about what she would do if it were her pet. The thought of how to precede at each step had never once left my mind but I wanted a professional's opinion and we reached similar conclusions of quality over quantity so Dapper came home that night with her oral meds and to be around her family. That night she ate, drank plenty, was able to use the bathroom normally, and took her meds like the fighter she was. You could see how tired she was but she still had the sparkle in her eyes she always had. Wednesday morning we made what we hoped would be her last vet visit for this ordeal so she could get her last battery of labs. Her RBC count had dropped some more overnight but was still within normal limits so for the first time since this began I was actually hopeful. The plan now was to remove her IVs, let her come home to rest, keep her on her oral medications. At home she ate a little for breakfast and we were able to get her to take her meds and then rest we did. Then as quickly as I became optimistic it was pulled out of me that afternoon when her demeanor took a drastic turn for the worse and I just knew it was time. She was never going to stop fighting because of how much she loved us, but I couldn't let her keep struggling just to survive so I made the choice to let her go. On the evening of Wednesday January 17th, 2018 I lost the being most important to me in the world. Her name was Dapper McFlufferbottom and in my arms with my hand on her heart I felt her heart stop beating and her lungs draw in their last breath, the only regret I had was that it had to be in her vet's office instead of somewhere more loving and comfortable. Over those four days I spent every cent I could spare, sold what I could that was of value, and maxed every credit card (including her CareCredit) I had trying to save her life. Unfortunately now I am struggling to catch up due to it being over four grand and even more so with the interest rates from CareCredit and as much as I hate to ask I could really use the help just to get ahead of the interest fee. 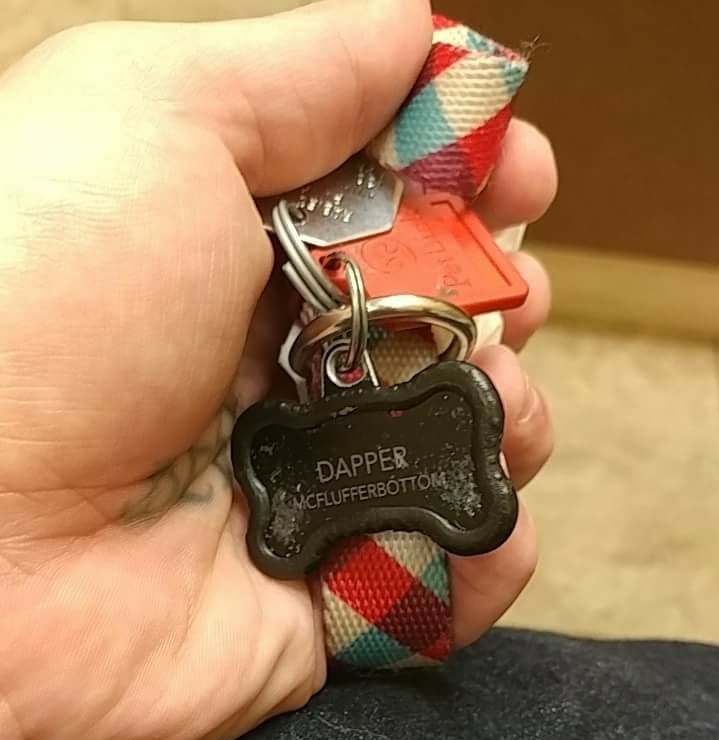 Everything goes towards Dapper's bills that we accrued over those few days and even if you can't donate just knowing that you cared enough to read actually means quite a bit more than I can say.